There’s two sides to income equation for Uber and Lyft drivers: Earnings, and expenses. That’s why we call it Maximum Ridesharing Profits, not Maximum Ridesharing Revenue! The highest revenue can still result in weak profits if you can’t keep your expenses under control. Your Driver Mike made a quick video over on Youtube about minimizing your expenses that I think is worth checking out. I shared the video and a transcript of the video below. We talk a lot on this channel about maximizing your profits when driving for Uber and Lyft, but how can you really maximize those profits by minimizing expenses? Your driver, Mike here, back with another video. This channel is dedicated to the rideshare space so if you’re a driver, a passenger, or someone just interested in the rideshare space, consider subscribing. We have so many videos on the channel about maximizing your profits with Uber, Lyft, Lime, Amazon and more, but let’s also talk about minimizing expenses. a tip that I really like doing and it’ll save you money versus going out to fast food places, gas stations, et cetera, and that is to bring your own food. If you’re gonna be on the road for hours and hours you may not even be near home anyway, pack a cooler, a sandwich, whatever you want, bring your own food and save yourself money. Speaking of being on the road almost all day, try to save money on the number one expense and that is gas. If you’re not using apps like Gasbuddy already, I highly recommend it. Gasbuddy compares gasoline prices in your area and shows you the lowest cost available. That, or you can also use places like a Sams Club or Costco if you’re a member. In addition, look at credit card rewards programs if you’re in the market for a credit card as you can also save money at the pump by signing up for a good program. Save your time and your money if you’re going to be providing accessories and snacks to your passengers. Instead, sign up for free programs like Cargo. One of my biggest tips for new drivers is do not drive around looking for a ride. Make sure to legally park and wait for a ride request to come to you. Driving around racks up expenses, and those are dollars out of your wallet. Make sure to legally park and then wait for a ride request. Lastly, again, when it comes to time, your time is money. Make sure a sick passenger doesn’t boot you off the system by making a mess in your car. Invest in some sick bags. Regardless of the time of day that you drive it really is a good pickup for such a small investment upfront. 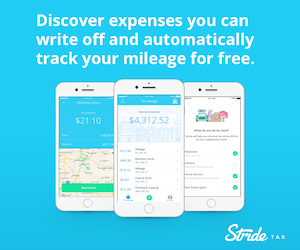 I hope these tips help you to save money and minimize your expenses when on the road. Your driver, Mike, here. I do appreciate you watching. Subscribe to join the Your Driver team, and I will see you in the next one.